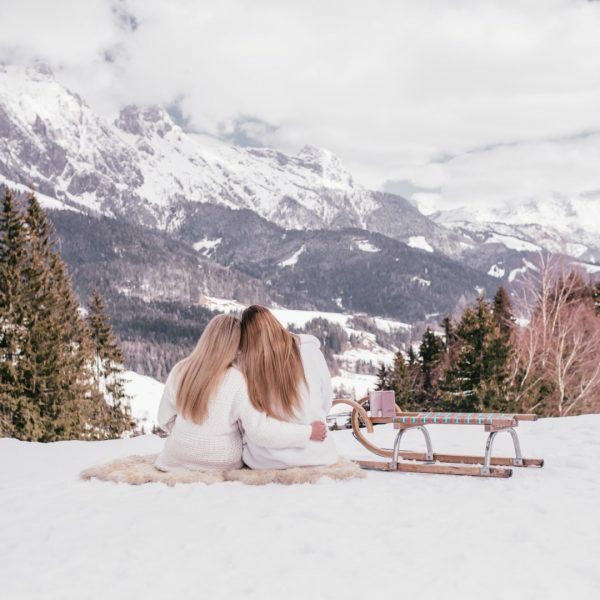 Responsible Tourism is becoming increasingly important with more and more travellers looking to combine their vacations with volunteering overseas or selecting their accommodations based on a hotels efforts in sustainability. Responsible tourism doesn’t have to take up your whole holiday (unless of course you want it to!) and you can make conscious choices about where you stay and what activities you participate in to also be a responsible tourist. At We Are Travel Girls we are always looking for ways to help the oceans and as many of you may know our co-founder Vanessa Rivers has an eco-friendly swimwear line Summerlove Swimwear which is produced using fabrics that are recycled from discarded fishing nets collected from our oceans. 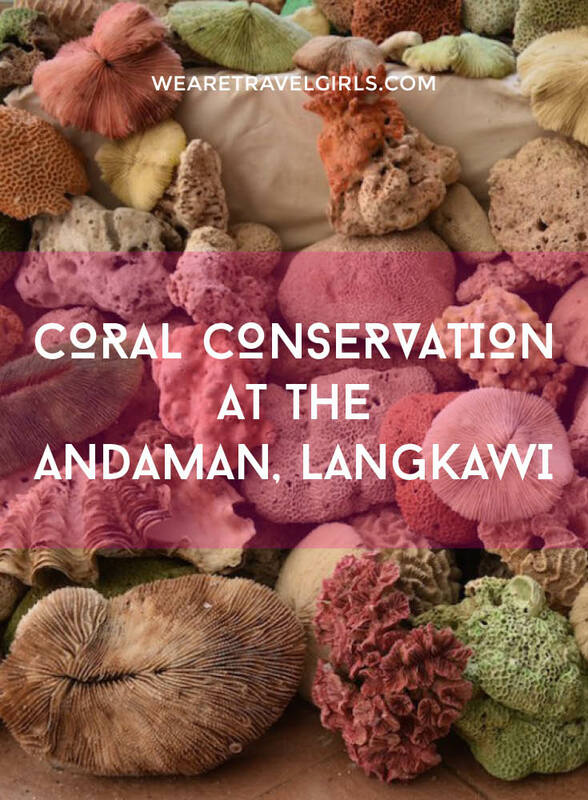 So on my recent trip to Langkawi in Malaysia I was interested in learning more about coral conservation following the 2004 tsunami whilst staying at The Andaman hotel. The Andaman is not only an amazing resort, but one that takes the time to educate visitors on coral conservation, here I share more about my experience and what they are doing to help in protecting and preserving our oceans. 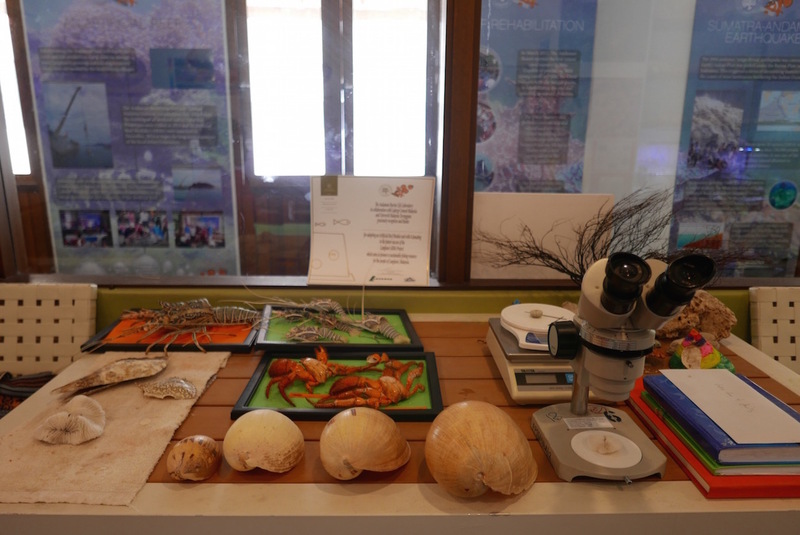 Given the Andaman’s unique location, with the Andaman Sea on one side and a 10 million year old rainforest on the other, they have organised several programs to help educate its visitors in a fun and interesting way. 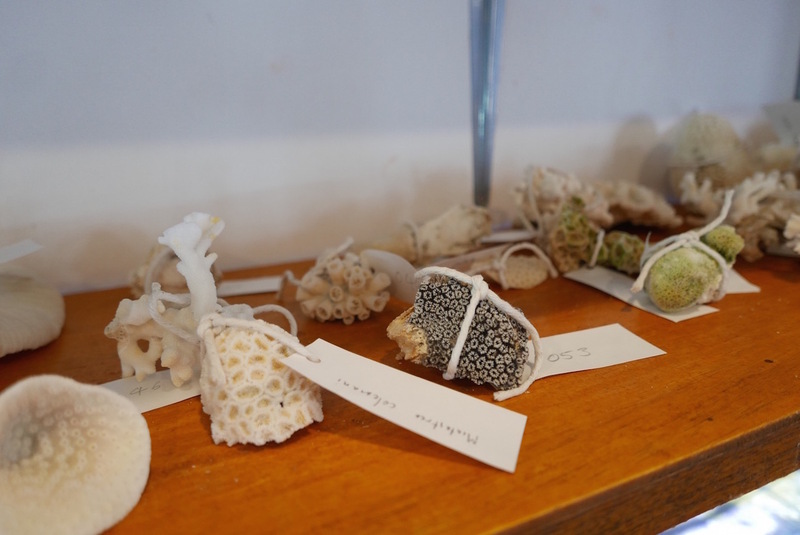 The primary conservation program at the Andaman involves the coral off of the coast of the hotel. The Andaman Reef in front of the hotel is estimated to be approximately 8,000 years old and at least 50 meters thick. This coral reef has an especially important role, because it protected the bay during the massive 2004 tsunami which claimed thousands of lives in the countries that were hit. Langkawi would have been hit much worse, but the coral absorbed most of the impact from the tsunami. However, whilst protecting the human population the tsunami did kill thousands of coral-colonies in the Andaman reef and made it difficult for living coral and of course the fish and sea creatures that to survive. 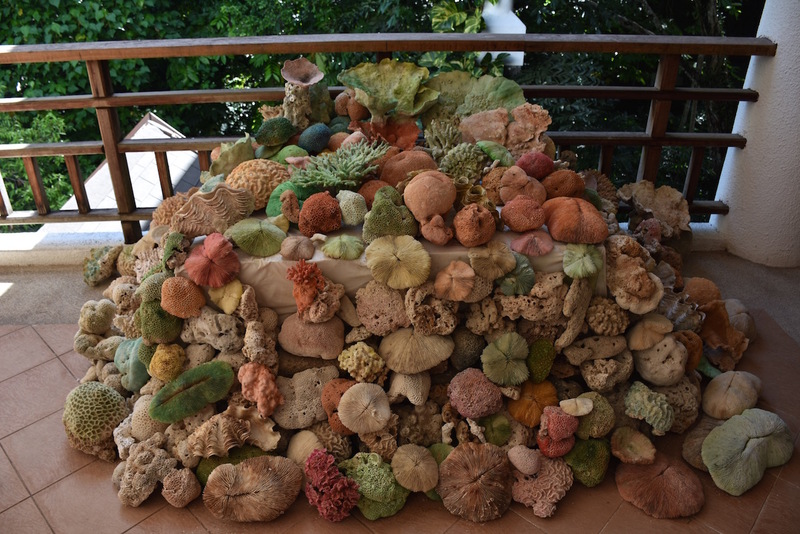 Following the tsunami, the hotel began clearing the dead corals from the bay and the ocean and these efforts instigated a much bigger project led by Dr. Gerry Geoden to begin conservation efforts to regrow the corals in Datai Bay. As part as their effort to help restore the coral reef, the Andaman organises several programs for employees and guests to participate in. There are guided reef walks where a naturalist gives a tour to help you learn about the unique ecosystem and the many living things that live in the reef and monthly coral cleanup days, where volunteers walk out into the reef during low tide and remove dead corals, this promotes growth of the living coral and helps the reef expand when it otherwise would be unable to. The dead corals are then “recycled” in the coral nursery where they are used to speed the growth of new corals. The in house coral nursery was created to help restore damaged coral, grow new corals to be transplanted to the ocean and provide a place for visitors to learn about various sea life without having to get into the ocean. I took a guided tour of the nursery, which is open to all guests at the hotel, this involves snorkelling with a life vest, which I thought was strange at first because the pool is only a few feet deep. 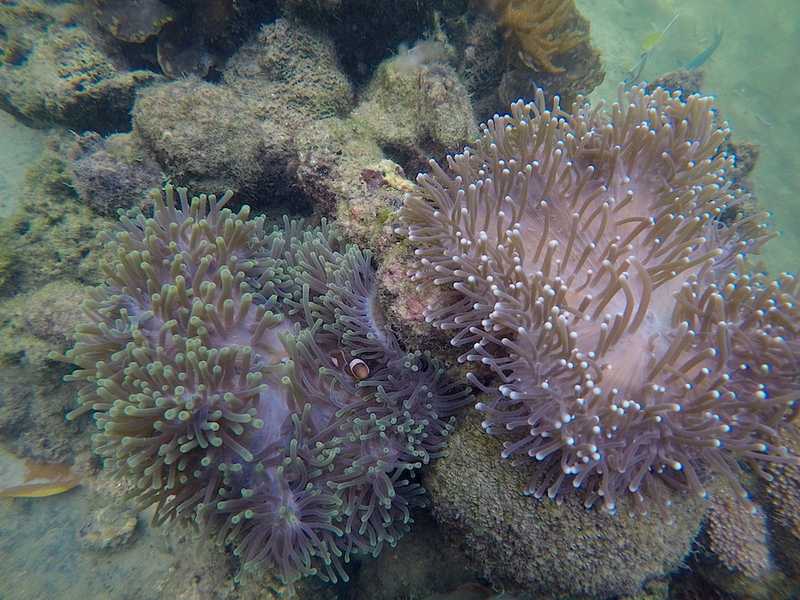 However, I quickly realised that this is so we do not damage any of the delicate corals they are working hard to grow, plus it made the underwater tour so much easier, as a naturalist guided me around while I was floating at the top of the water. My face was under the water with my snorkel on, but I could still hear everything she was saying, so it was a great learning experience! I’ve been scuba diving before which is also wonderful, but having a guide explain exactly what I was looking and show me which corals I could touch or look under without any damage to them at made it even more enjoyable. 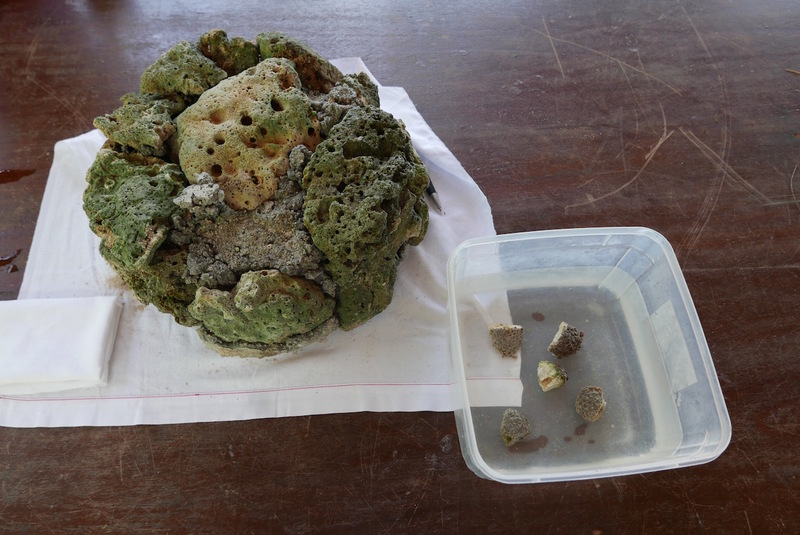 After the tour I was able to do a coral transplant, where I attached live pieces of coral to a larger collection of dead pieces and then placed it in the water so it can grow. Once the young coral has become large enough it will be moved from the nursery to the ocean, furthering the growth of the reef in the area! 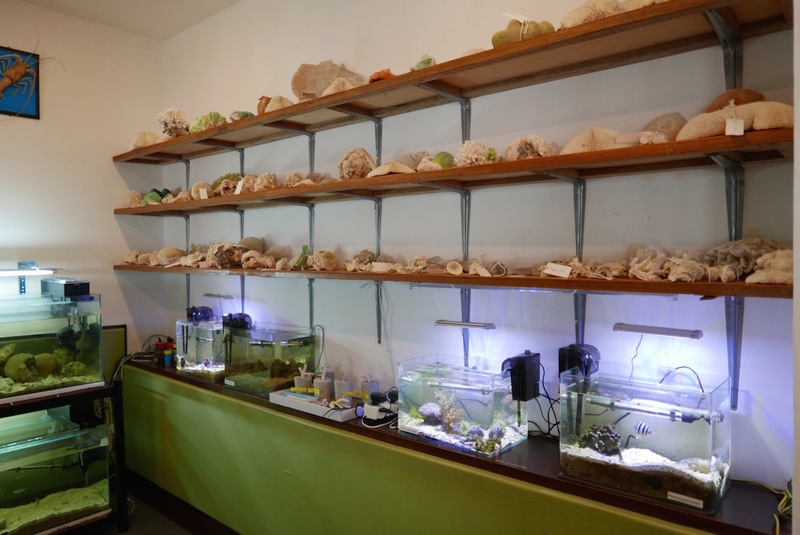 The Andaman Marine Life Laboratory takes a more classroom approach to educating visitors, and especially children, about the importance of the reef and marine wildlife. Located just off from the main lobby, the Laboratory is an indoor center filled with tanks and exhibits. Our guide told us that this is particularly useful for children who have never been to the ocean, so they can touch and learn about marine life without feeling nervous. There’s a great deal of hands-on information, including separate tanks dedicated to the different fish, coral, starfish, and my personal favourite, the “pistol” shrimp. The pistol shrimp emits a loud popping sound when it feels threatened to ward off predators, and actually makes the second loudest underwater sound only after a whale’s call! The hotel works with local Malaysian University students as a place to conduct research experiments. In turn, these students can present their findings to hotel guests as a way to interact with the local community. 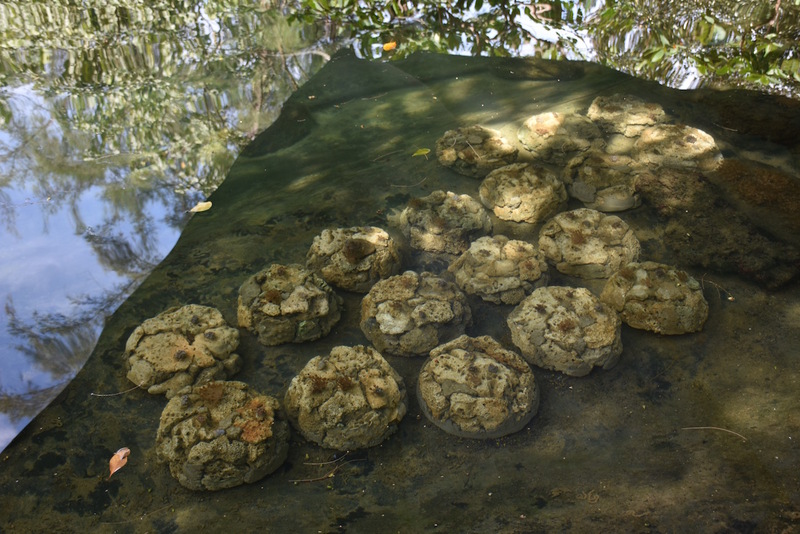 In December 2014, the hotel worked with the University to launch their Artificial Reef Module System (ARMS) program as another method to promote marine growth in the region. 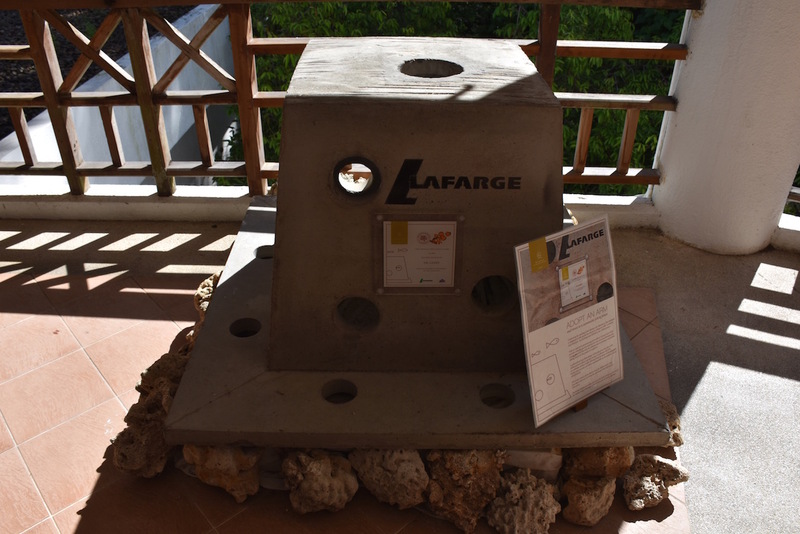 These are essentially large concrete blocks with holes in them to allow fish to lay eggs and be protected from predators, allowing fish stocks and reef fisheries to grow. Guests are encouraged to sponsor their own ARM, which will be placed in the water in honour of the guest complete with its own plaque! Once you are done with all the underwater activities, you might also want to learn about the nature on dry land. The Andaman offers morning and evening rainforest walks with an experienced naturalist who will explain interesting facts and point out exotic animals along the way. Almost immediately we saw the adorable Dusky Leaf Monkey and the more mischievous Macaque Monkey, who has learned to open the doors to the rooms and steal your food from inside! 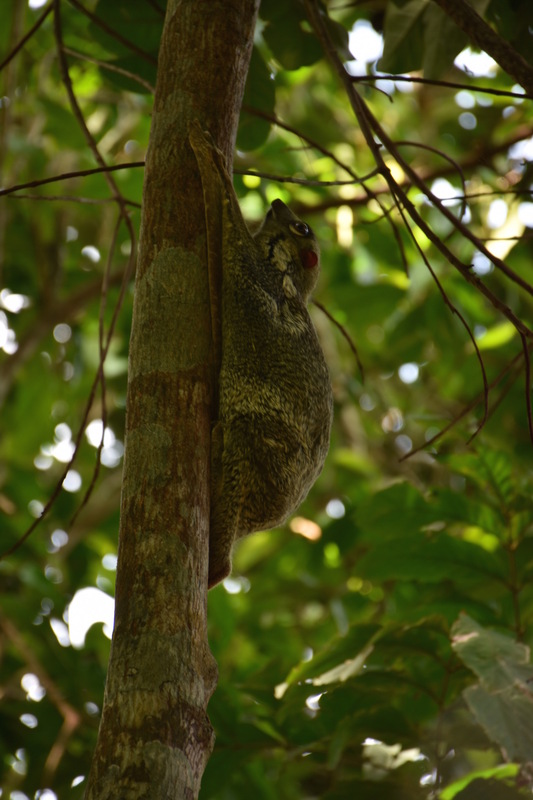 We also saw the rare flying lemur which is native to Langkawi. One of the funny stories shared by our guide was a team from National Geographic spent a couple of months in nearby Borneo hoping to study the flying lemur, and only saw 3 during their entire time. 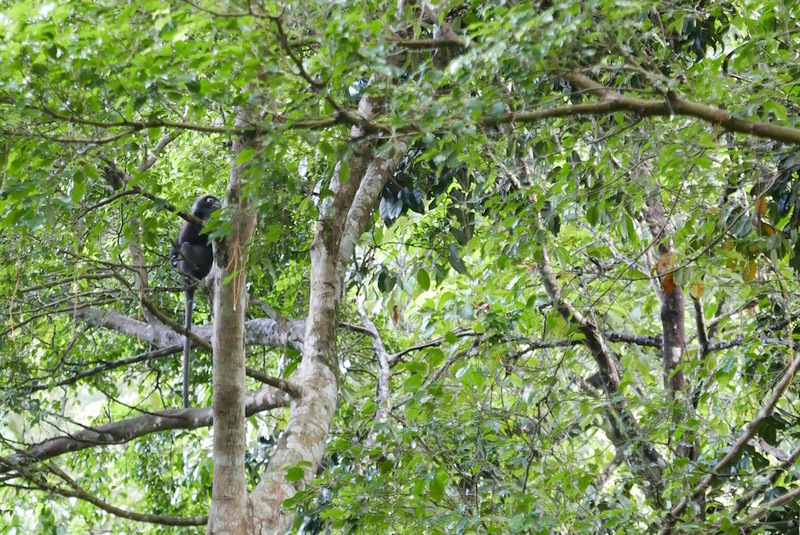 Upon arriving at the Andaman in Langkawi, the team saw 5 on their first day walking to breakfast from their room! 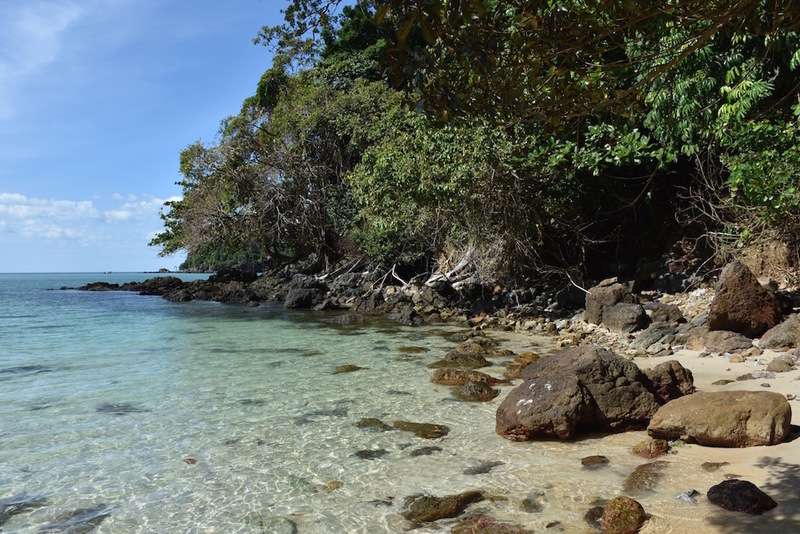 The Andaman does a great job preserving the natural beauty of its location and does a great job sharing this information so the guests want to help preserve it as well. 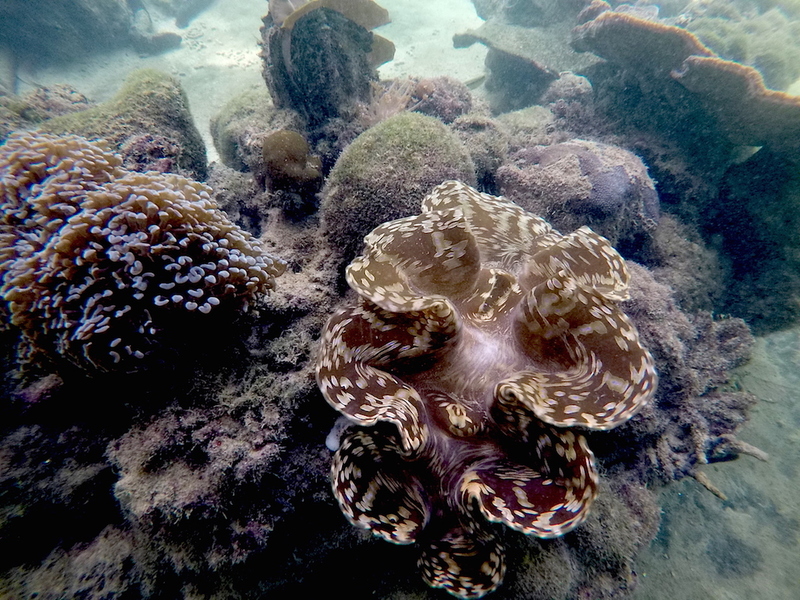 I hope this post has inspired you to visit Langkawi and The Andaman to learn more about coral conservation. Please share you own responsible tourism tips in the comments below. 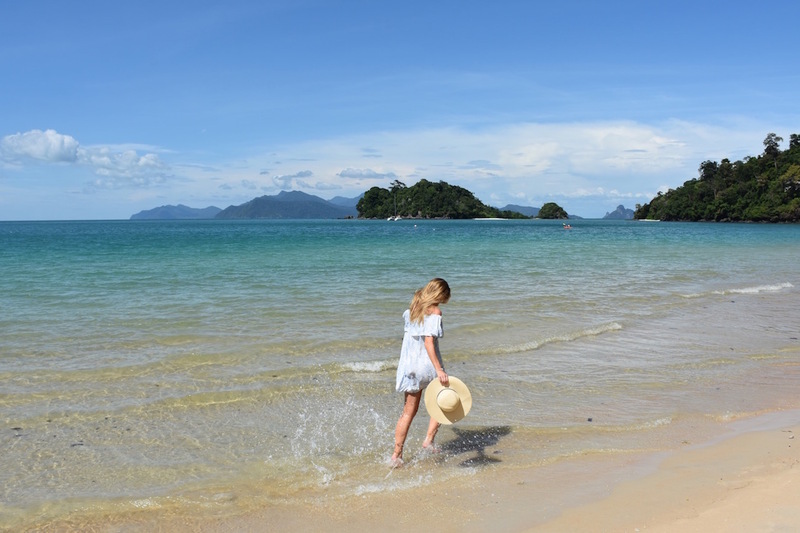 Read the full hotel review Luxury In The Bay At The Andaman Resort Langkawi. I really love everything about this! I hope to visit a hotel and conservation like this one day. I had no idea you could use coral this way, really amazing! This is so educational! 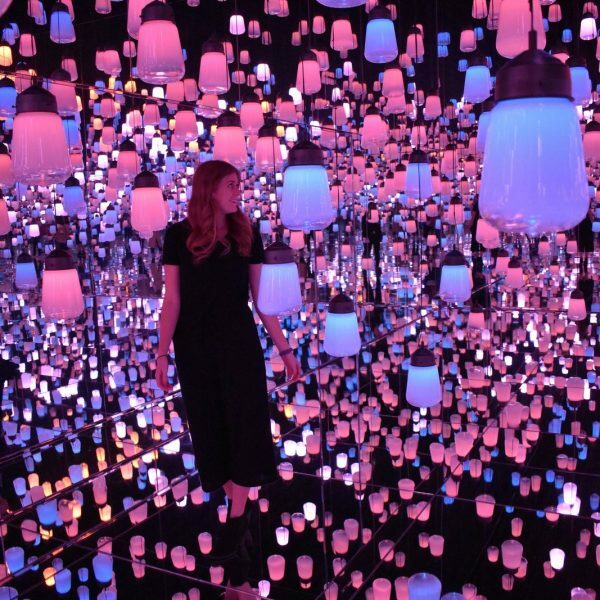 lovely project! I would love to visit one day and get to experience it myself too. Thanks for sharing. Thank you so much for reading and commenting Raquel. 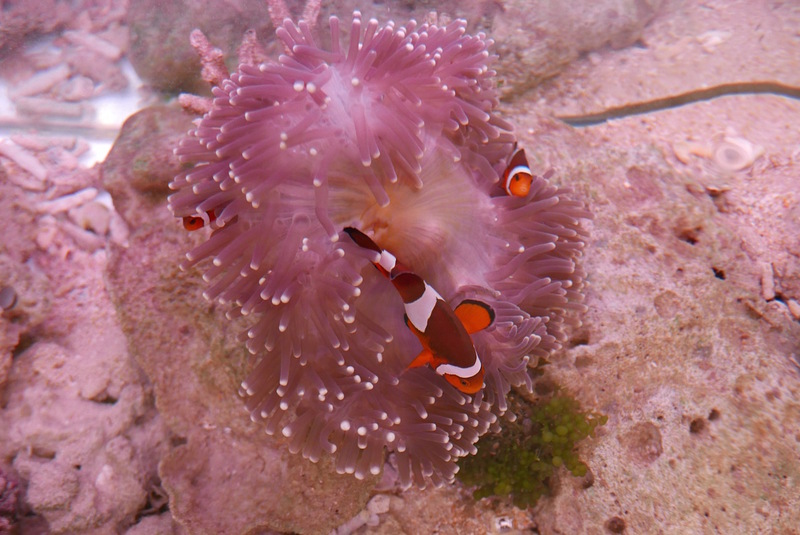 This was a really special place and I love how much they are doing to educate visitors as well as regenerate the reefs! You’ve sold me! Langkawi is now firmly on the travel list. I’m always amazed at the travel opportunities in Malaysia. It’s quickly becoming one of my favourite Asian destinations. Thanks for reading and commenting Jess! 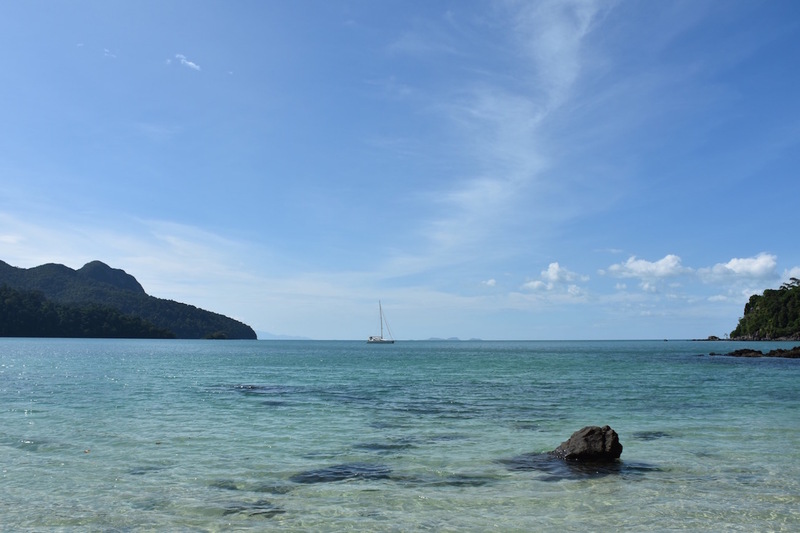 Langkawi is beautiful and you should definitely visit the island, as well as so many other places in Malaysia! 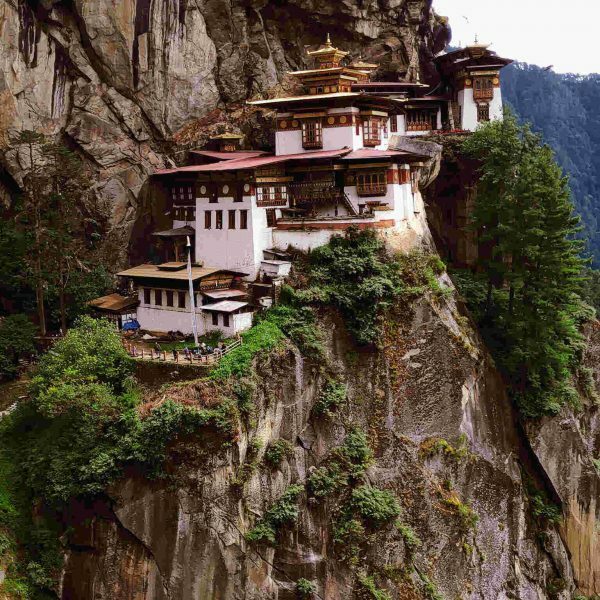 It certainly rivals its neighbours in Asia and has alot less tourists!